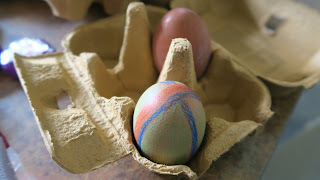 Our family has lots of fun little traditions but the one that is most looked forward to is rolling our Easter eggs. We decorate hard boiled eggs with colouring pencils then roll them around in the grass until they crack. They never crack! Sneakily aiming for trees, rocks or someone else's egg is a good way to ensure you can get to the picnic and the chocolate eggs. No picnic foods can be eaten until your egg is cracked and no chocolate eggs can be eaten until your picnic is finished. Come rain or shine we'll be egg rolling. We've rolled eggs in all sorts of weather and picnicked in the car on many occasions. One year Mom even set up an indoor egg rolling obstacle course because the weather was just too bad for even us hardened picnickers to brave. My Nan says egg rolling is a Scottish tradition that symbolises the rock rolling away from Jesus's tomb. But a quick Wiki shows it's an international event. Yet, I've never seen anyone else in England out rolling their hard boiled eggs on Easter Sunday. Have you? We moved house this year and due to the usual Easter rain we picnicked at home. It's the first time our neighbours have seen the egg rolling show. I was disappointed nobody asked what we were up to because it's a tradition I'm proud to share. 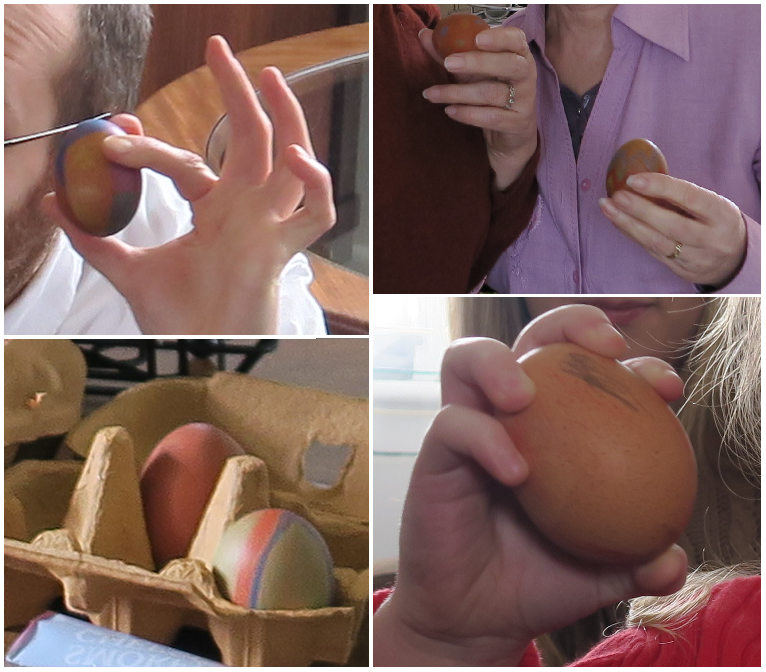 Do you roll an egg at Easter?